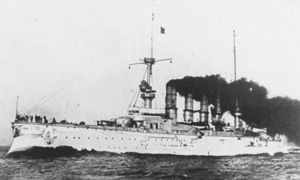 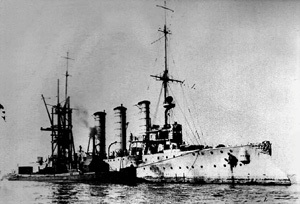 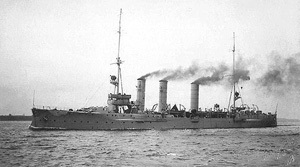 On 2 July 1910, the East Asian Cruiser Squadron and two auxiliary vessels unexpectedly arrive at Ponape, remaining there until 7 July. 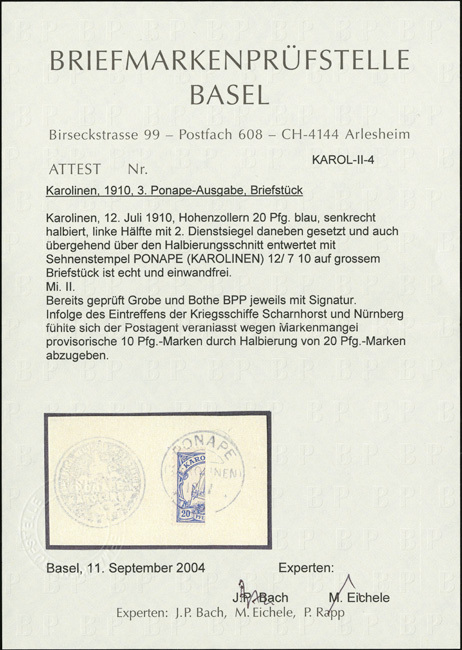 During that short period, Ponape’s supply of 5- and 10-Pfennig stamps was exhausted. 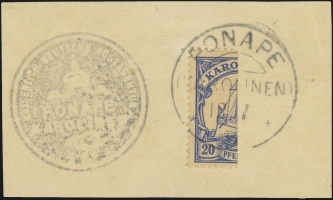 To fill the void, the Ponape postal administrator used a variety of provisionals, including unaltered German Germania issues, Karolinen 3-pfennig Yachts surcharged “5 Pf.” (MiNr 7 Pv), and Karolinen 20-pfennig Yachts bisected vertically (MiNr 10 H). 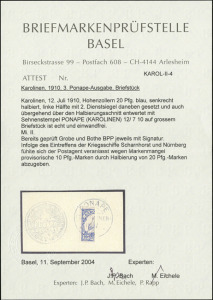 Estimates place the number of bisects produced at 500. 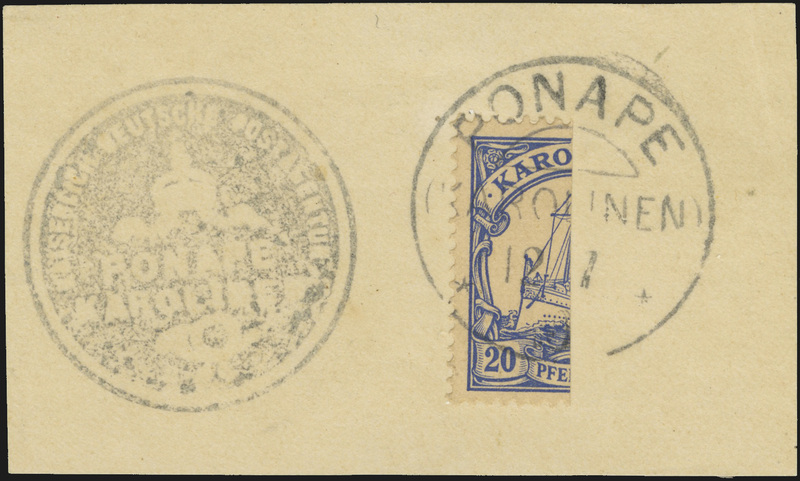 These issues were only used for one day, 12 July 1910. 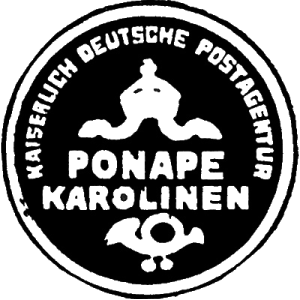 To confirm the official origin of the bisects, the post-July 1909 Ponape seal (“Karolinen” longer than “Ponape”) was also affixed.